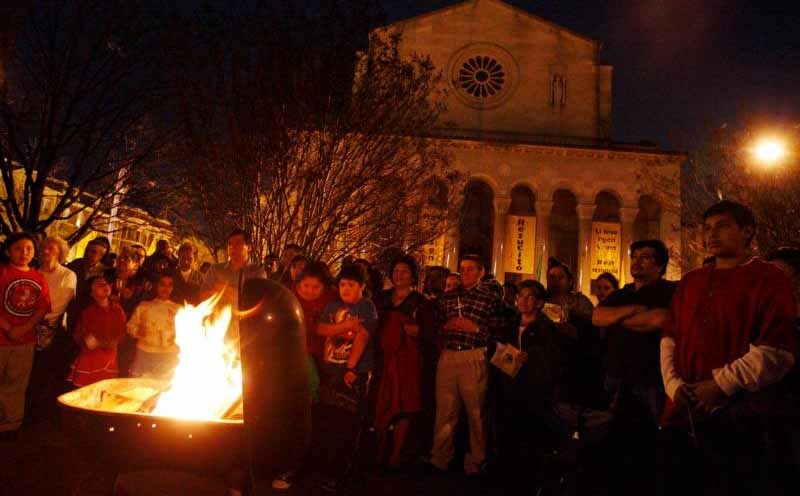 Easter begins in the darkness and at night, when the great vigil Mass for this central Christian feast is celebrated. Yet Easter is all about daylight — a “new day” in time. The resurrected Jesus is “the Morning Star,” according to the Exsultet, the rather ancient and remarkable hymn still heard during the Easter Vigil. Like the morning star shining at dawn, Jesus signals a new day’s arrival, with all the hopes attached to it. It would be a shame to reduce Easter to a series of nice-sounding words and phrases to describe the risen Lord and to escape from the challenge of telling who he really is. So I need to be clear that calling Jesus the Morning Star was anything but that for our forebears. Christ is the light; he illumines the world. His followers, like him, are called to carry his light and to assure that it shines brightly in the universe of all their activities. The resurrection is like the break of dawn. To state this is to reach into the very heart of Christianity and to begin a conversation about the essentials of Christian living. Christ is light, just as he is life — new life. “Gladness,” admittedly, is not a word uttered often nowadays. But we know what it implies: joy, happiness and, no doubt, a life in which hope plays a significant role and opportunities arise to experience fulfilling satisfactions. Gladness may assume many forms, but in some form, I believe, it represents what most people desire. That’s just the point. Easter zeros in on the desires of the human heart. Truth be told, darkness casts a shadow over the lives of too many. Pope Francis is well aware of this. “Christ wants to come and take us by the hand to bring us out of our anguish,” the pope said on Easter 2016. But, the pope indicated, Jesus’ followers ought to follow his lead. So the risen Lord sends each person who encounters him “to announce the Easter message, to awaken and resurrect hope in hearts burdened by sadness, in those who struggle to find meaning in life,” said the pope. An imprisoning trap. That is what Pope Francis believes a lack of hope becomes. No wonder the risen Lord so often is called a liberator. What freedom do people need that reflects Easter’s new life? Freedom, possibly, from the fear of putting the finest of their God-given gifts to fuller use and thus beginning to grow again. Easter sets the tone for all Christian living. It is a matter of coming out of the darkness and into the light. It is a matter, too, of accompanying others as they attempt, perhaps haltingly, to discover what new life means for them. “Goodness always tends to spread,” and “any person who has experienced a profound liberation becomes more sensitive to the needs of others,” Pope Francis wrote in “The Joy of the Gospel,” one of his most-read documents. What the Jesus of Easter does is what Christians are meant to do. Remember, it was the resurrected Jesus who accompanied the two disciples making their way to Emmaus, spending time with them in ways that comforted and enriched them (Lk 24:13-35). Cardinal Blase J. Cupich spoke in 2014, just before becoming Chicago’s archbishop, about the Christian mission to stand alongside those who experience a “dryness” in life that “eats away” at their hopes. “Our aim should be to make sure that everyone has a place at the table of life,” he said.